AHIP (America’s Health Insurance Plans) is having their annual meeting in San Diego this week. Nurses from the California Nurses Association and allies from groups like Physicians for a National Health Program and Progressive Democrats of America will be there to greet them – of course! 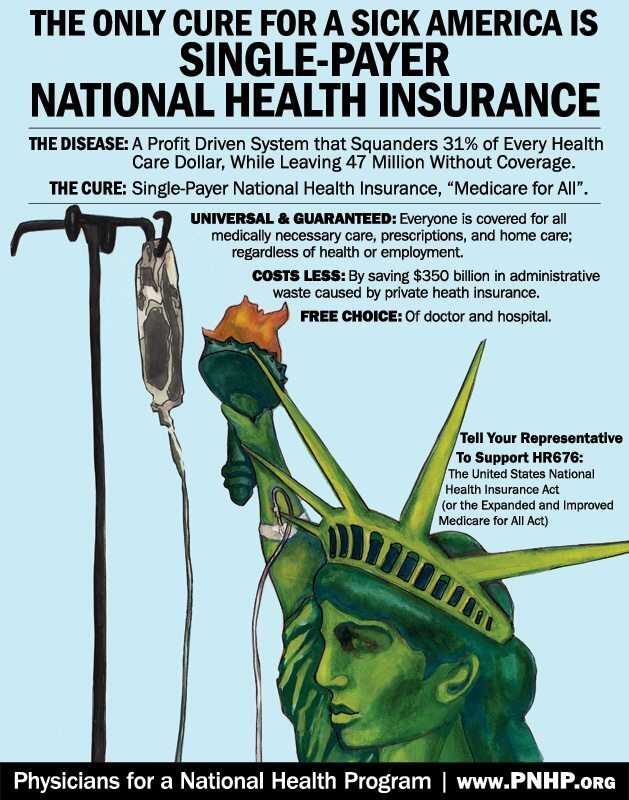 For those who don’t know, AHIP is the trade association and main lobbying arm of the health insurance industry – more commonly known as the murder-by-spreadsheet industry. NO MORE BANKRUPTCIES FOR HEALTHCARE ! NOBODY OUT, EVERYBODY IN !! Good parking at Parkade: 6th and J opposite the OMNI hotel. Bring your own signs, camera, video phone or recorder, and other supporters. Take your own videos to post on YouTube!!! awesome doug. i was feeling really bad about not being able to go.